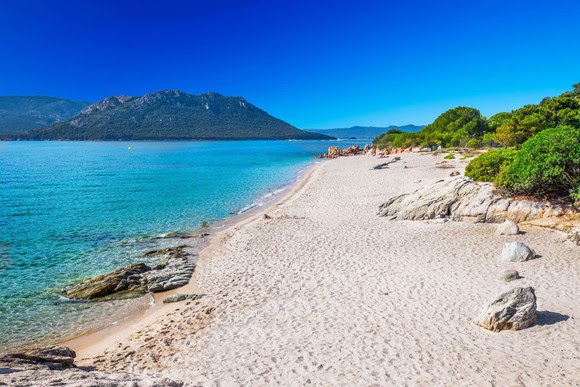 British Airways launches more flights to some choice sunshine spots next summer with the launch of a new route to Corsica from Heathrow Terminal 5. Return fares will be available from £98 in Euro Traveller and £258 in Club Europe are available to book now on ba.com. Corsica is perfectly placed between France and Italy in the Mediterranean Sea and is fast becoming a must-visit destination for European holidaymakers. The number of flights from Heathrow Terminal 5 to Palma will increase from seven to 13 per week, Corfu will be bolsted from seven to 11 per week and Mykonos from three to seven per week. Speaking at World Travel Market yesterday, Alex Cruz pledged that the airline’s new £4.5bn investment programme would improve the flying experience for all customers. Reaffirming British Airways as a premium airline committed to customer choice, he outlined the unprecedented competitive pressure the company faced and voiced his determination to create a stronger national carrier to benefit customers and remain at the forefront of world aviation. · Roll-out of fast wifi in all cabins on short-haul and long-haul. Earlier this month British Airways announced it would start flying between Heathrow and the historic Spanish city of Almeria, with flights taking to the skies from March 27, 2018. Holidaymakers can discover this lively town and spectacular surrounding coast from just £66 return.